This Roberto Coin bangle from the Nabucco collection is a smart accessory for the modern woman. 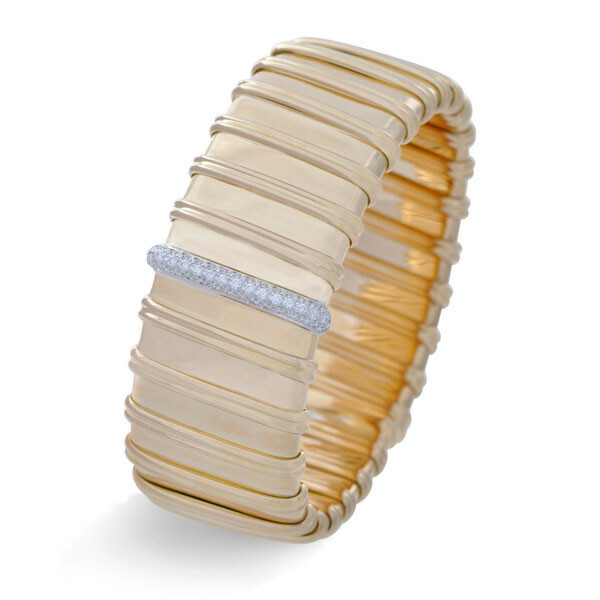 Lustrous 18kt yellow gold is crafted into a thick bangle with a ridged surface, and one of these ridges is a line of brilliant white diamonds set in 18kt white gold for a little two-toned flair. 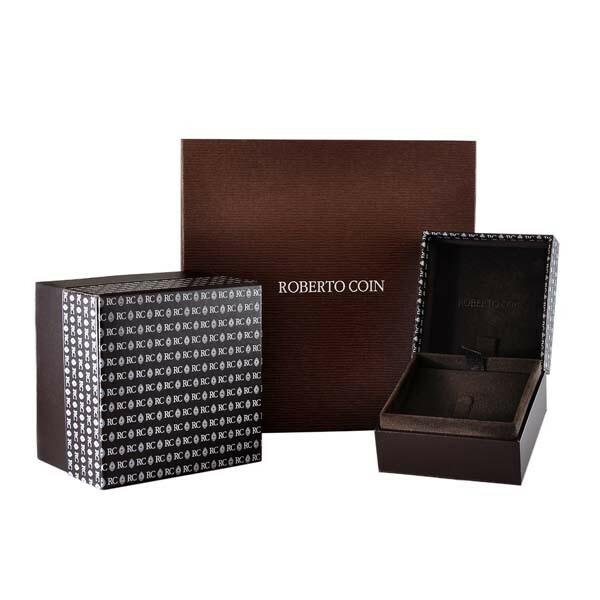 Simply stunning, this Roberto Coin bracelet is a great accent piece for the business executive or the belle of the ball!